In our fast-moving and digitized world, many riders aim for a gentle and well-thought-out education for horse and rider, without the pressure of competing. The Academic Art of Riding is based on the knowledge of the old masters, like Xenophon, Pluvinel, Guérinière, and Steinbrecht, just to name the most outstanding ones. 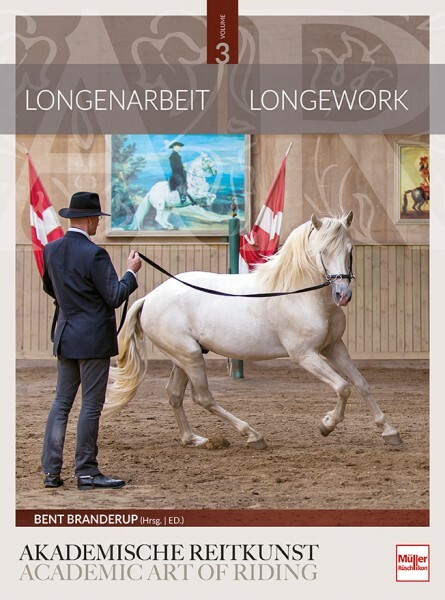 Dedicating his life to the Academic Art of Riding, Bent Branderup studies the old masters over and over again, as well as he constantly questions his own and his students‘ work. 17 single steps cover the academic ladder that schools body and mind of horse and rider. Which heritage the old masters handed down to us riders? When did they agree on something and what did they criticize? Do our current studies of psychology, biomechanics, and pedagogics match the old master`s knowledge and recommendations? The Knighthood of the Academic Art of Riding is a community of passionate horse people who share fundamental ideals and have at their disposal a certain level of proved skills. The main tasks of the international academy are research and education, always aware of the ethical aspects that concern the human-equine relationship. The 230 members consider themselves as belonging to a brain pool whose members advance through a constant exchange. 15 to 20 of them will pass their knowledge to the readers of the „Academic Art of riding“ – they are well-known experts of communication, body language, bitless art of riding, rehabilitation, psychology. From the first step – Horsemanship to the Schools above the ground – they share their knowledge, always keeping the focus on two spirits wanting what two bodies can. To become one – just to spend a beautiful time together with our horses.